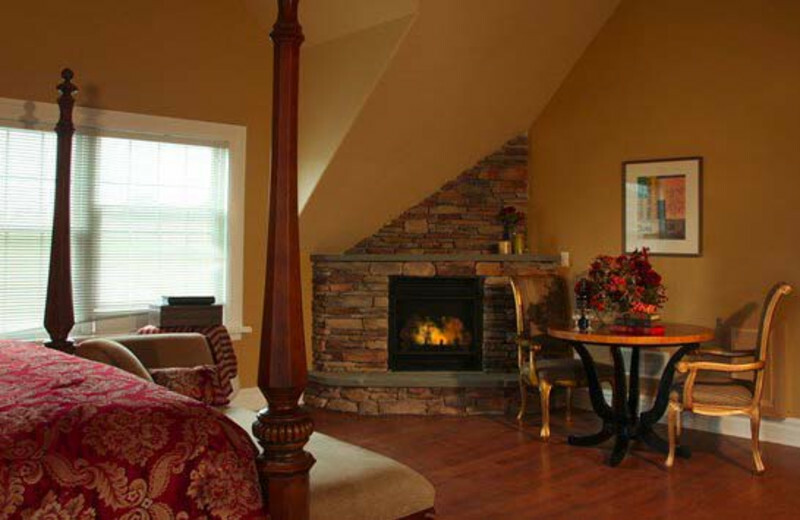 Chelsea Sun Inn is a private, refined Pocono Mountains inn with the upscale charm of a vineyard. Built on the concept of Tuscan agri-tourism, this Pocono bed and breakfast features four beautiful suites with a 350-acre mountain farm and the Stonehenge Winery and Vineyard as a backdrop. Barely an hour and a half from New York and Philadelphia and two hours from the Jersey Shore, Chelsea Sun Inn is a refreshing vacation in every way with in-room massage, and onsite wine-making classes. Elegant rooms feature gas fireplaces, flat screen TVs, and dining areas. The views are the best part of all, highlighting the natural surroundings on your Poconos vacation. Your romantic Poconos vacation at Chelsea Sun Inn combines designer style with the finest natural luxuries of country living. The inn provides truly stunning, private suite accommodations, in-room spa services, local meals made with fresh produce - and fine wine, right from the onsite vineyard. Chelsea Sun Inn is blessed by a spectacular location in the romantic Pocono Mountains, which offer year-round recreation: horseback riding, Delaware Water Gap hiking and Shawnee River rafting are all right nearby. Or, ski at any of seven Pocono ski areas including Camel-back, Blue & Alpine mountains. 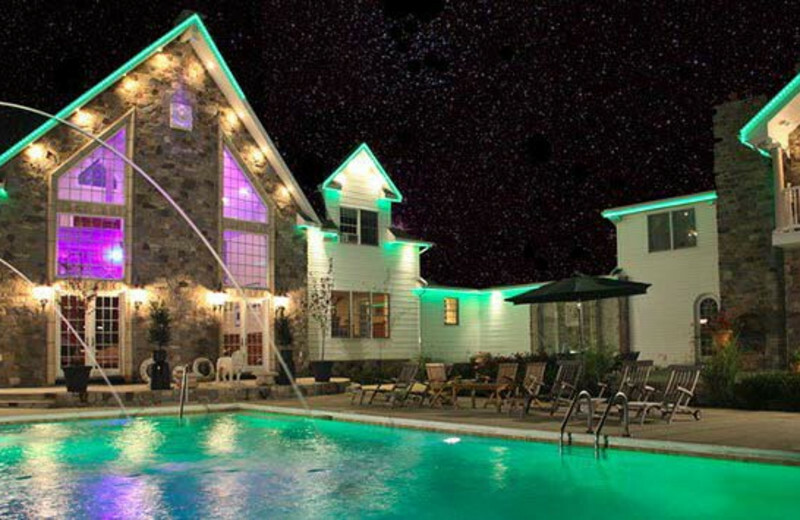 At Chelsea Sun Inn, your Poconos spa vacation takes place where it should – in the privacy of your luxury suite with a variety of complete massage services available from licensed therapists. Packages are available now, and vino-therapy is coming soon!